Despite that landscape solar is breaking through in parts of Texas, providing models that renewable energy advocates hope will resonate in the rest of the state, starting with the price of solar power. Electricity is sold by the kilowatt hour. It refers to the use of 1000 watts used over the course of an hour. A typical U.S. household uses 900 kilowatt hours a month. The average cost of a kilowatt hour in Texas is about ten cents, nationally it’s about 12 cents. The City of Austin is building solar farm that will deliver at less than five cents a kilowatt hour. Money talks. And that’s a loud voice. “These technologies are disruptive,” explained Larry Perea as he drove his hybrid car in El Paso. 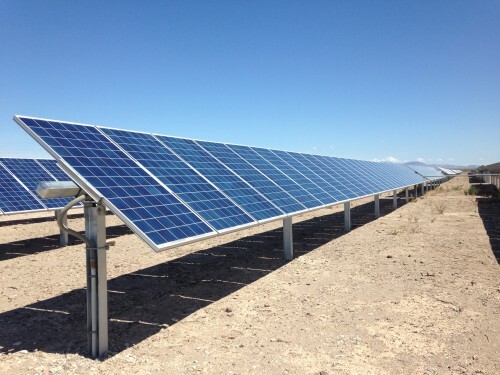 Perea installs solar in New Mexico and Texas. And the data support him. In 2012, Congress killed a policy that allowed solar installers to get immediate cash back instead of a future tax credit. Yet solar installations rose by more than a hundred per cent last year. “It’ll be no different than the horse and carriage industry,” Perea continued. In Texas, solar is making inroads, albeit slowly. Several Texas counties have granted solar companies tax breaks and good deals on the open spaces needed for industrial scale solar panel farms. Recurrent Energy of San Francisco is building a 150-megawatt solar farm in West Texas. It has signed a 20-year deal to sell the power to Austin Energy. And First Solar of Arizona, one of the world’s largest solar companies, has started construction on a 22-megawatt farm near Fort Stockton. Varun Rai examines the intersection of policy and the energy markets at the LBJ School of Public Affairs at UT Austin. He says those companies are coming to Texas to make deals with utilities that want to offer solar. There is a major stumbling block in Texas. A net meter spins both forward and backward—showing power produced and power used. Electricity made by solar is taken off the customer’s monthly bill. But utilities say net-metering pushes the cost of energy up for customers who don’t have solar. Because when we buy power we pay for two things; the electricity itself and the maintenance of the wires that bring it us. Solar customers pay much less for electricity because they generate it. That means the utility has less money for maintenance. Brewster McCracken runs Pecan Street in Austin. Among other projects, Pecan Street focuses on renewables like solar. Even he empathizes with the utilities on this. “This is a very fair concern,” said McCracken of the utilities. “They have no real way to monetize that electricity,” he continued. Again Larry Perea. He says utilities can embrace renewable energy and make money. But he says the examples of Austin and San Antonio are few and far between. “If the homeowner is able to pocket the money to produce their own electricity, well that’s revenue that’s not going to a regulated monopoly,” he said. That said, private power companies love Texas. The mix of geography, sun and a pro-business regulatory environment is highly attractive. One executive says oil and gas may boom and bust but solar is reliable. Varun Rai, from UT Austin’s LBJ School of Public Affairs says the die has been cast. getting more competitive,” he said. Then there’s Texas’ rapid growth. It’s a place with a mounting demand for electricity, making renewables increasingly cost effective. 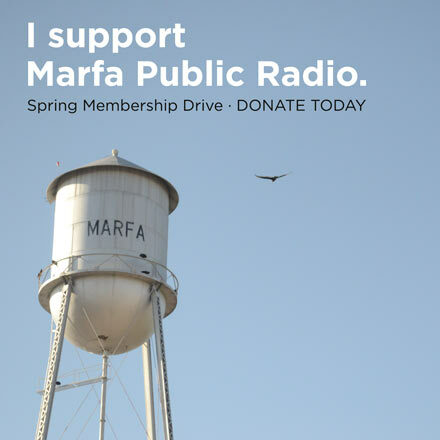 This conversation was reported by Lorne Matalon in collaboration with Fronteras, The Changing America Desk, a consortium of NPR member stations in the Southwest. This entry was posted in KRTS News and tagged Fronteras Desk, Renewable Energy, Renewable Energy Incentives, Solar Power, Texas Economy, Texas Energy Regulation, Texas Legislature, Texas Solar Industry. Bookmark the permalink.